St. Stephen’s has a choir of around 30 members, which includes a junior section of children (boys and girls) aged between 7 and 13 years old and a number of students who sing with us while they are studying at one of the city’s universities. 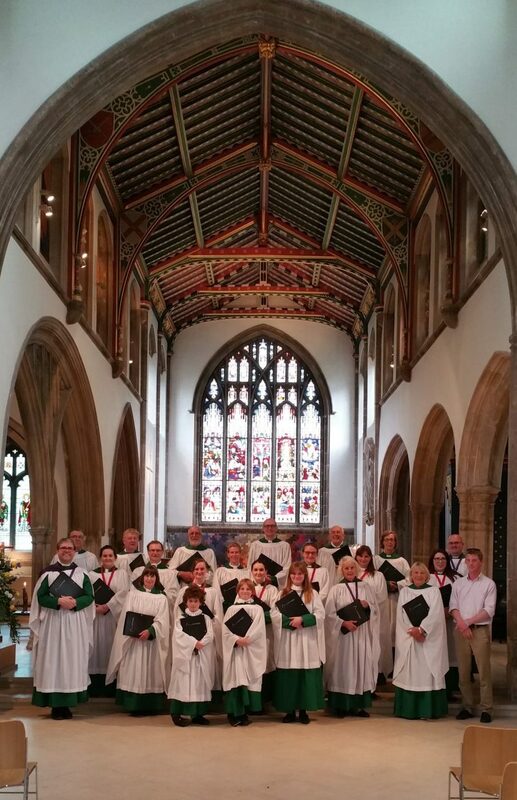 The choir has built up a good reputation for leading worship in our cathedrals, having sung in most cathedrals in the South and South-East, including Portsmouth, Rochester, Guildford, Salisbury, Winchester and Canterbury Cathedrals, and Bath Abbey in recent years. The choir has also been very privileged to have been invited to sing in Westminster Abbey, London on two occasions recently. The junior members work their way through a chorister training scheme organised by the Royal School of Church Music, called ‘A Voice for Life’ and this provides them with basic musical knowledge, singing technique and also helps them to build confidence in themselves – it has actually been proved that a musical education can help in other areas of a child’s academic studies. Rehearsals take place on Wednesdays from 6:00 – 7:00 pm for Trebles (children) and Friday’s from 7:30 – 9:00 pm for the full choir (- 8:30 for Trebles). The choir sing two services each Sunday: 10:30 am Sung Eucharist, with a seasonal setting of the Gloria (or Kyrie in Advent and Lent), Sanctus, Benedictus and Agnus Dei, and at 6:00 pm Choral Evensong, following a pattern of full choir, mens voices, ladies voices, and full cathedral style Evensong. The choir also sing for an evening Sung Eucharist on principle Feast Days. Choir members also enjoy a good social life, with each Friday rehearsal ending in Ye Olde Beverlie – the pub over the road from the church. We have meals out and barbecues together regularly during the year and many of the choir take part in other church social activities too. Bless, O Lord, us Thy servants, who minister in Thy temple. Grant that what we sing with our lips, we may believe in our hearts, and what we believe in our hearts, we may show forth in our lives. Through Jesus Christ our Lord. Amen. Please fill in all fields. Your information will not be shared with anyone else, and you can unsubscribe at any time.